Victor Mravlag is from North Hudson, NJ. I’d not thought of him in nearly forty years, but for some unknown reason his name came to mind last week. I typed it into Google — that wonder of the invisible world and learned that Victor now is a pastor with an Online Deliverance ministry. He often appears on live episodes at the same Site. For generations, the Greene Street Boat Club was the hub for Downtown Jersey City fishing enthusiasts. 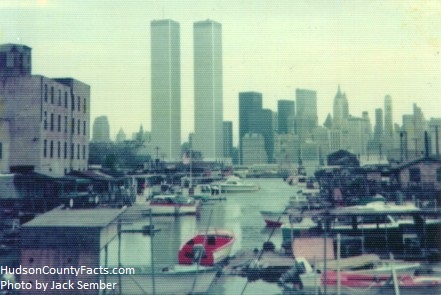 Though the club did not have title to the property, members maintained squatter rights to their docks. Supposedly to make way for development, Mayor Gerald McCann (during his first term) evicted the Greene Street Boat Club. Now part of Peninsula Park, this section of Waterfront remains unused. Major developer Web Sites hacked? It strikes me as sorta strange that there are billionaire big shots playing Monopoly with the real thing who don’t bother to do a Google search on themselves — or pay someone to do it for them. And another sour note, I wanted to tag LeFrak in a Facebook post — either the business or one of the family — to give them a heads up. Strange to relate, the LeFraks seem to be Social Media-phobic with the only presence on Facebook for LeFrak City — with not but 194 Likes one might add. 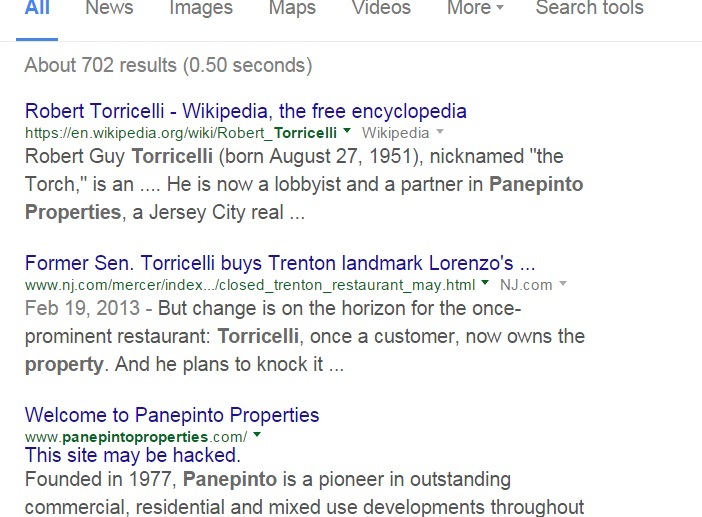 While on the topic of hacked real estate Sites — though I posted it in the Jersey City Politics Facebook Group like WAY BACK WHEN — Google STILL thinks that the Panepinto Properties Web Site has been hacked. The Panepintos — both business and principals — ain’t showin’ up when I try to tag them. Are theys all Social Media off the grid, too? Now the Panepintos used to be big on Google searches. (They’d email me when people were talkin’ nasty about one of ’em on my Hudson Count Politics Message Boards.) I wonder if the Panepintos don’t bother doing Web searches anymore or what? Robert Torricelli ain’t in either as far as Facebook goes. Too bad. Maybe he’d know who’s supposed to be watchin’ the shop for the Panepinto Properties Web Site goes. One BIG developer plus one big developer equals two hacked Sites. Does this — like — indicate a trend? Is it only 3rd rate work letting some silly spammers in? Or, could this be industrial espionage? And in the CURIOUSER AND CURIOUSER department, for both of the heavy hitters, not a single lawyer, not a single contractor, not a single copy writer, not a single photographer, not a single architect, not a single engineer. . . not one of the army for hire of professionals firing away with invoices night and day ever did a Google search and noticed THIS SITE MAY BE HACKED. Or, they saw it but didn’t bother to say it? Or, they dutifully brought it to the attention of their organization contact — who didn’t do anything? Or, there really is no problem, but Google is bad mouthing both LeFrak and Panepinto? 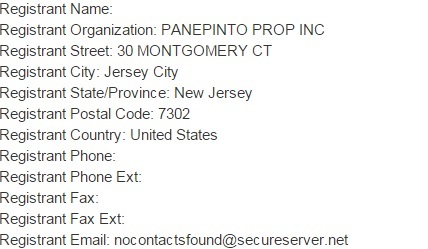 And dig this for the PanepintoProperties.com Domain registration — an invalid email address. This photo dates from January 1, 1947 – the last year of Hague’s rule. 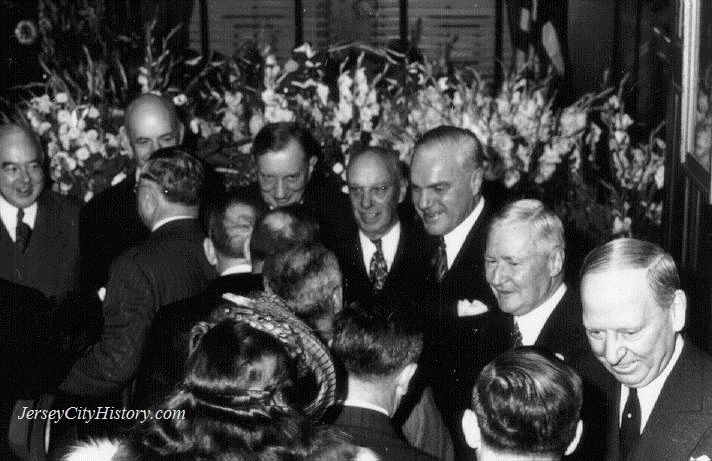 Mayor Frank Hague (right), a teetotaler, held an early morning reception on New Year’s Day. His followers had the choice of imbibing moderately the night before or suffering silently through the ceremony. items rangit 1rom gift cards at SUpermar ets to expensive electron,cs and Relex watches. the skimmer ag in at the same location for at least two weeks. these checks_~ere given to LU,S b¥ Charl,e and Tom who both worked for the Fulop’ campa’gn. of the ind vicuals would be challenged from voting. 74A. Type Ihe Renk, ~ml! an Badge # of R~port.lng otfleer(e) 175A. ,70A. Foegill !’fA. D~le 01 F!.epoft I’M. TRI,I DAU 1,0.
transport M~. Bonnacorte back to the North District to be processed to BCI and the county. Intunt tQ Co,,”p.lto Card w/o COnlu;mt (1) 2C,2l”,,1 possel!’,il;/10I1 of Forgery Devlc:sp;; (1) 2C:2l·1c Forgary and Rahat d Of1″,mGIDI (1) 2C:21·1 Receiving Stolen Property (1) 2C:20.! Martha Stewart was born in Jersey City. Martha Stewart of “It’s a good thing” fame was born in Jersey City. If she’d grown up here she would’ve known to keep her yap shut when the FBI came calling. 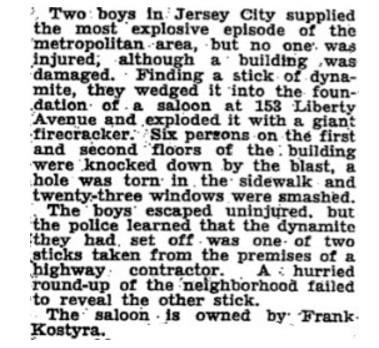 Is any information available about Jimmy Kelly and the Jersey City reference? Both sides are credited to “Buchowski” and the artist is Jimmy Kelly. I’m assuming Kelly was “Buchowski” and hence, Polish. The “drumming” and the vocal and guitar are certainly not synched up. The drumming on the flip is much more professional sounding. Obviously it’s the same song as a mostly instrumental. The “Twist” in the title dates it for me as 61-ish. Again, all guesses. The logo is different than the one on the Kelly label. but so many records of the late 50s/early 60s had this quality. I attached both sides. Enjoy! In the early days of radio, station WAAT was located in Jersey City. Tom Fodice, long-time attorney at the City of Jersey City, is an acknowledged expert on municipal law and a one-man institution. When Smith became Mayor in 1977, he sent packing Jordan’s entire Law Department — except for Tom Fodice. When I worked in City Hall from 1998 to 2001, I often had the chance to speak with Tom Fodice. One day we were discussing Michael Ventris deciphering Linear B, Heinrich Schliemann discovering the site of Troy and similar topics. Suddenly a series of clerks and secretaries began to rush into Tom Fodice’s office shouting after the manner of Chicken Little proclaiming celestial plummet. As some serious and urgent business appeared to require Tom Fodice’s immediate attention, I thought it best that I leave. Because of the crowd of Law Department employees that now filled the room, I couldn’t get out the door. Tom Fodice ignored the little group and continued to talk about whatever scholarly topic had his attention. 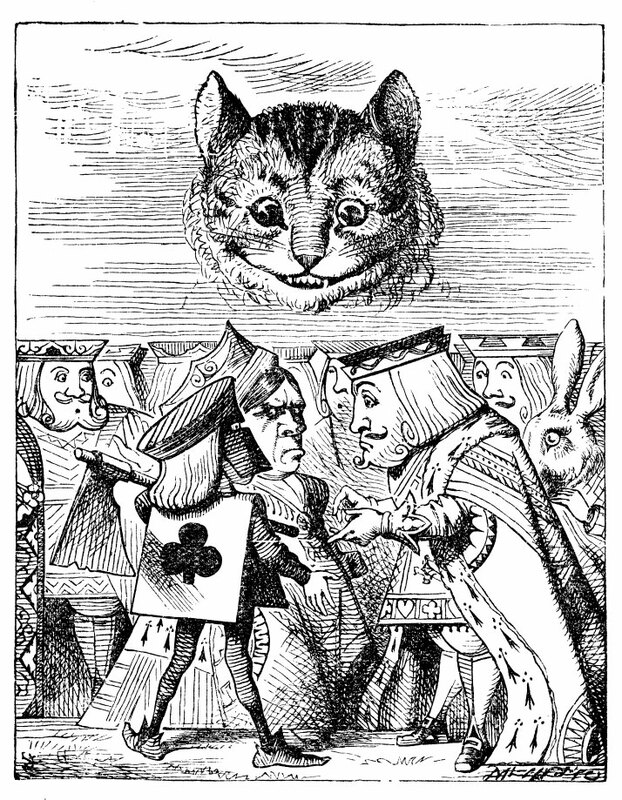 Finally — appearing nervous — the officer, holding a large manila envelope, approached the doorway. Without looking at the policeman, Tom Fodice simply said “City Clerk’s Office” and pointed down, indicating the first floor.